The American Wind Energy Association's 2018 Annual Market report shows Kansas passing Iowa, now holding the number one spot . 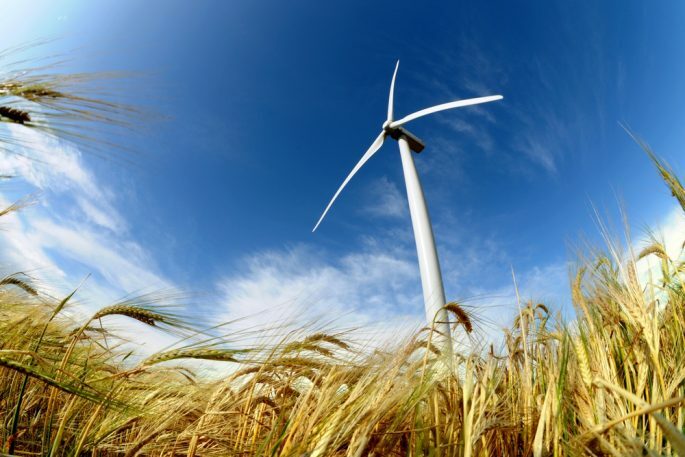 It shows 36.4% of the state's total electricity is produced by wind power in 2018. Iowa produced 33.7%. Our nation's largest state, Texas, was at 15.9%. To see the map and percentages for the entire U.S., see THIS PAGE. Governor Kelly spoke about the achievement. "The State of Kansas must continue to prioritize renewable energy and the many benefits that come with it. I'm pleased to see that Kansas has continued to increase its wind energy production," said Kelly. The estimated annual state and local tax payments by wind projects in Kansas for 2018 totaled nearly $28 million. Kansas is home to a major wind turbine "nacelle" production plant, with only two other currently operating in the U.S. A "nacelle" is a cover housing that houses all of the generating components in a wind turbine, including the generator, gearbox, drive train, and brake assembly. Learn more about the ins and outs of Kansas wind turbines. Wind energy now delivers over 20% of the electricity produced in six states: Kansas, Iowa, Oklahoma, North Dakota, South Dakota, and Maine. In 2018, wind turbines generated 6.5% of the nation’s electricity. Installed U.S. wind capacity can power the equivalent of over 30 million American homes. Kansas powered 9.4 billion homes in 2018, placing the state 5th in the nation for equivalent homes powered. Kansas is behind California, Iowa, Oklahoma, and Texas which tops the nation of number of homes powered at a whopping 42 billion. To see a free report from American Wind Energy Association, go HERE.